Susan Colantuono, Founder & CEO of Leading Women, the world's premier consulting firm for bringing Gender Balance to corporate leadership, is pleased to announce the promotion of Kelly Lockwood Primus to President & COO. Effective immediately, Kelly, who has been SVP of Strategic Client Solutions since 2013, will take over the helm of Leading Women as Susan shifts her focus to the development of new research and solutions utilized in the intellectual property, which has made Leading Women the cutting-edge resource it has become. As President and COO, Kelly will oversee day-to-day operations, business development and client relationship management. "I am thrilled to turn over the reins to Kelly, who has been instrumental in the explosive growth of Leading Women over the last six years," said Colantuono. "Kelly has proven herself to be the epitome of women's leadership. Her background and business expertise uniquely position Kelly to lead our company in an environment where our clients are looking for ways to increase their revenue growth by decreasing their leadership gender gap and by increasing diversity in their workforce. At Leading Women, we are excited to continue on our mission to help organizations grow by increasing diversity and closing the leadership gender gap." 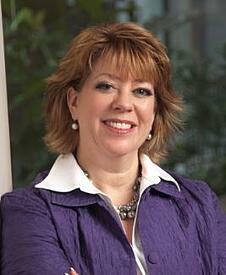 Prior to joining Leading Women, Kelly was a successful business executive in the consumer products industry. Very often she was the only woman at the table and recognized the missed opportunity for the industry from the lack of fair representation of women from these critical conversations. So, in 2010, she joined the executive team for Women's Foodservice Forum (WFF), a national non-profit women's leadership organization. She was instrumental in returning the organization to prominence in the foodservice industry by establishing WFF as the authority for women's leadership development. Her efforts led to "sell-out" status for the organization's live and virtual events. This experience helped her recognize her passion as an advocate for women and organizations that are looking to close leadership gender gap, which in turn led her to join Leading Women. Says Primus, "I'm passionate about women's leadership development because I know firsthand what it's like to be the only female executive in the room, and what it takes to navigate the obstacles women face every day. I am honored and excited to be the President & COO of this amazing company. I look forward to working with our current and prospective clients around the world, equipping them with relevant tools and solutions needed in today's challenging business environment to achieve their diversity goals and gender balance in their leadership teams." Interested in Women's Advancement & Closing the Leadership Gender Gap? Stay up to date by subscribing to our blog.